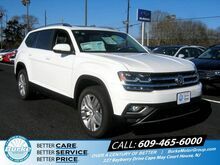 At Burke Volkswagen, we take care of our customers. 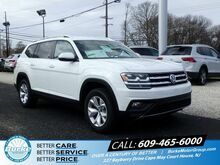 From our premium selection of new Volkswagen Atlas SUVs to our competitive pricing on new cars, money-saving Promise Rewards program, and incredible customer service, you won’t be disappointed with what you discover at our new car dealership in Cape May Court House, New Jersey. 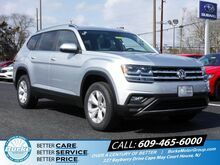 Want to take one of our new Volkswagen Atlas SUVs for a spin? Do yourself a favor and schedule a test drive with us online now. Are you looking for a South Jersey auto dealership you can count on? 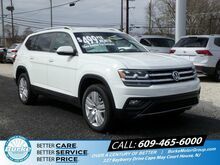 With excellent pricing on new Volkswagen models and a team of professionals that knows the Volkswagen family of vehicles inside out, Burke Volkswagen in Cape May Court House, NJ is certain to exceed your expectations every time. Ready to take the next step? Whether you're looking to buy a new car or lease one of our desirable new vehicles, the easiest way to get started is by filling out our auto financing application online today. 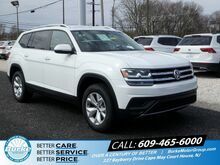 From beautiful new Volkswagen Golf hatchbacks and VW Passat sedans to stunning new Volkswagen Tiguan SUVs, VW Jetta sedans, and other top new Volkswagen models, you’ll find all your favorite new vehicles here at Burke Volkswagen. 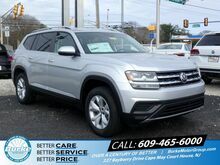 We have plenty of family-friendly vehicles that are sure to make every drive to Ocean City, NJ a breeze! 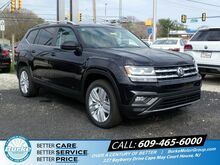 To learn everything you need to know about our amazing inventory of new vehicles in Cape May Court House, NJ, stop by our new car dealership now.